We’ve talked a great deal over the past few months about the importance of the in-store experience — even naming it one of our big trends and predictions for 2017. One of the key components of a memorable shopping experience is a compelling store design, so back in October, we compiled a list of seven Instagram accounts to give fashion retailers some design inspiration. Now, we’re extending the favor to homeware retailers — and the feeds we’re profiling here just so happen to be Vend customers. Read on for the five homeware-centric Instagram accounts you need to follow ASAP. The Shelley Panton Store, based in Melbourne, has an absolutely killer Instagram. The store’s feed features beautiful photos of its brightly lit space and puts us in mind of two key takeaways. First: go green! Take a cue from Shelley Panton — where greenery seems to be omnipresent — and spruce up your shop with plants. And second? Don’t be afraid to showcase all your products. Most people’s homes exhibit some level of clutter — so if your store mirrors that (in an organized way! ), shoppers will feel more comfortable and be more likely to actually make a purchase. South London’s The Do South Shop clearly curates its Instagram feed according to its tagline: “interiors with imagination.” It’s full of images showcasing unique items and spaces, and it’s got some cool lessons for homeware stores everywhere. The main one? Use mirrors to punctuate and accent your space. This’ll open up your shop and showcase your products in new and exciting ways. Take one look at the Instagram feed of the Haven Trader — an interiors and lifestyle store located in Queensland, Australia — and you’ll notice cheery light beautifully complemented by products in bright and pastel colors. As eye-catching as this design scheme is on social media, it’s even better in person. Clean white walls and large amounts of natural light provide a blank canvas on which to showcase your products; they really allow color and structure to pop. So that’s the first tip homeware retailers can learn from the Haven Trader: let your products take center stage by keeping your paint scheme neutral and your light natural! And second? Create spaces like you would in your own home. Strategically section your brick and mortar store into standalone areas that can transport your shoppers into a stunning bedroom, bathroom, office, library, etc. New Zealand homeware retailer Mood is similar to Shelley Panton in the proliferation of greenery across its Instagram account. But the thing that really sets them apart? The detail. We are open today from 11am to 4pm in Newmarket ☕️. The lesson here: do the work for your customers. Arrange the place settings, execute the ideas, organize the end tables — show your customers the magic of the final vision, and they’ll be inclined to purchase more products to bring that finished picture right back to their homes. Multi-store homeware retailer Empire runs more than five locations, so its Instagram account draws from all of them to provide a wealth of design inspiration for other homeware retailers. Pretty much every picture on Empire’s feed provides some level of design inspiration — from how to display coffee table books to how to decorate for the holidays — but two things in particular stick out to us. Number one: maximize your space — and that includes your ceiling. Hang light fixtures and decorations like you would in your own home. Show customers how products can work together. Don’t limit yourself to grouping all the planters in one corner or the mortars and pestles on one table. Instead, style the vase. Make the bed. Hang the pictures. Let your creativity shine! 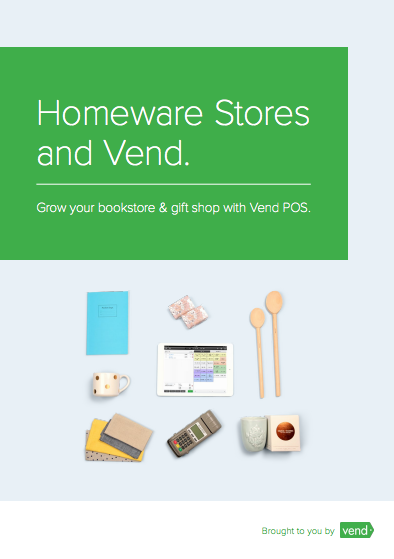 Want to learn more about how Vend can help you grow your homeware business? Head here to download our guide just for homeware retailers. The post 5 Homeware-Centric Instagrams for Store Design Inspiration appeared first on Vend Retail Blog.